All the tea lovers out there, have you ever thought of blending your cup of tea according to your wish? Now you can actually do that, with 'Tea Trove,' which brings that personalised 'ek cup chai' to you. The 'Tea Trove' sources freshly packed teas (black, white, oolong, green) directly from the cultivators and blends them to bring out that unique and exquisite flavours, using real herbs, fruit (apple, orange peel, mango, pineapple, etc), flowers (rose, lavender, jasmine, etc.) and spices (cardamom, pepper, cinnamon, etc.). In addition to the health benefits, their products are handcrafted and made fresh daily with all-natural ingredients. Topping it all, is their option for you to get your own kind of blend. The blending process is called 'The Pyramid of Tea. You know what a pyramid looks like, right? It's wide at the bottom and gets smaller as it goes up. Well that's how you're going to create a tea blend. You start with a base ingredient which will be largest portion of your blend, and then you add to it with other ingredients in small portions to fill out the blend. All you need to do is, ask yourself what you're looking for in your tea. 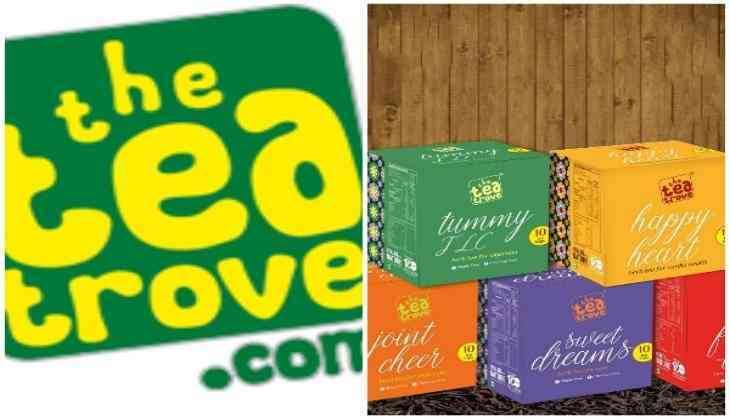 According to Rishav Kanoi, founder of Tea Trove, "I am a firm believer in improving the quality of the tea and the customer experience constantly, and being passionate about product innovations. I always believed what Einstein once quoted, "If at first the idea is not absurd, then there is no hope for it!" Speaking about the flavours, served at Tea Troves, he said, "Our ingredients are absolutely pure with no artificial flavours or colours added. All the fruits, flowers, herbs, and spices are freeze-dried. This guarantees freshness along with a strong flavour and colour as opposed to the regular flavourings available in the market that only give an inferior tasting tea at best. We offer all the regular options like chamomile, jasmine, rose, ginger, cardamom, peppermint, hibiscus and many more. But our popular signature offerings are the slightly less common flavours that go wonderfully well with tea - strawberry, pineapple, tulsi, lavender, lemongrass, and vanilla." So walk in to Select City Walk, New Delhi, to get that perfect cup of tea for yourself!